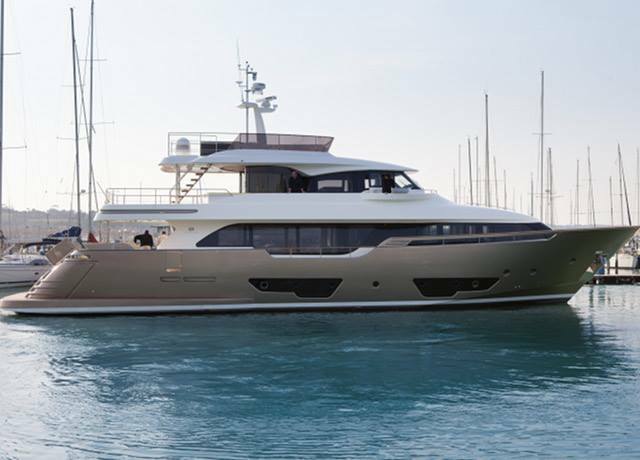 Superyacht YVONNE is the second Custom Line Navetta 28 semi-displacement vessel, built at Ferretti Group's shipyard in Mondolfo, Pesaro-Urbino, Italy in 2015. 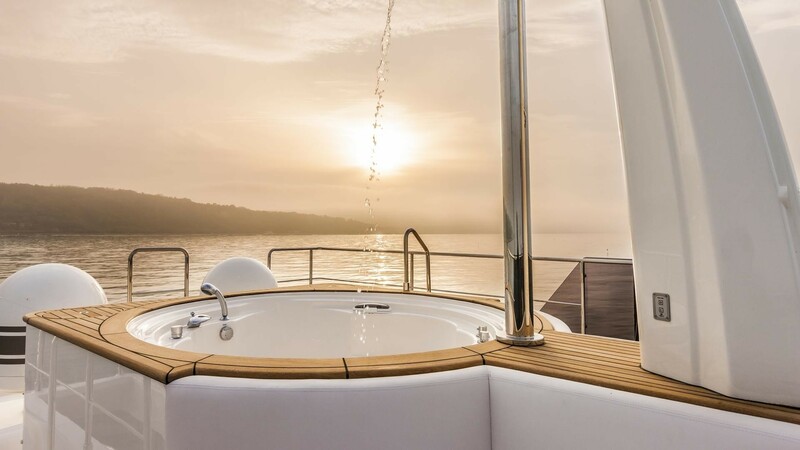 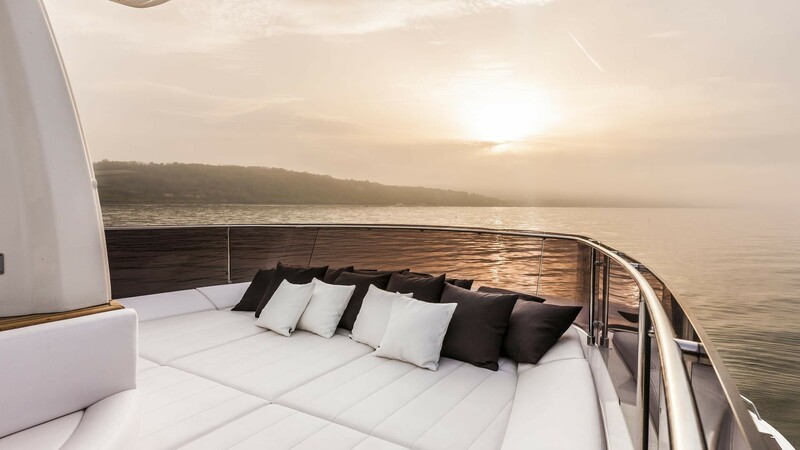 Destined for long-range cruising around the world in maximum comfort and luxury, the 28-metre motor yacht YVONNE represents the excellence in terms of seaworthiness, comfort, safety and customisation. 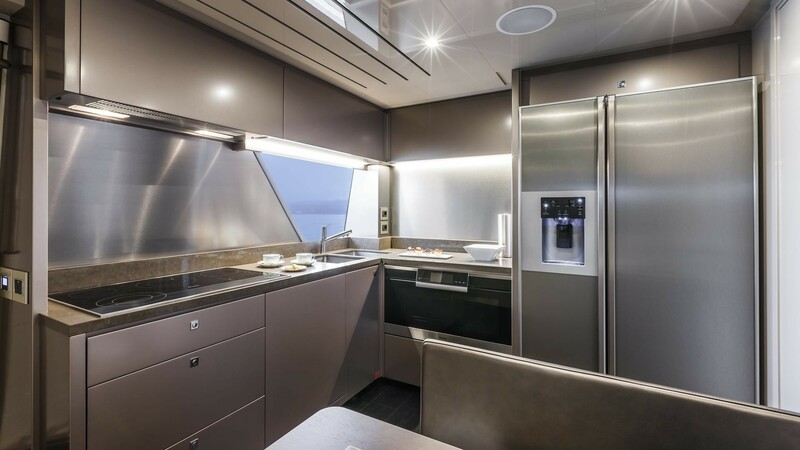 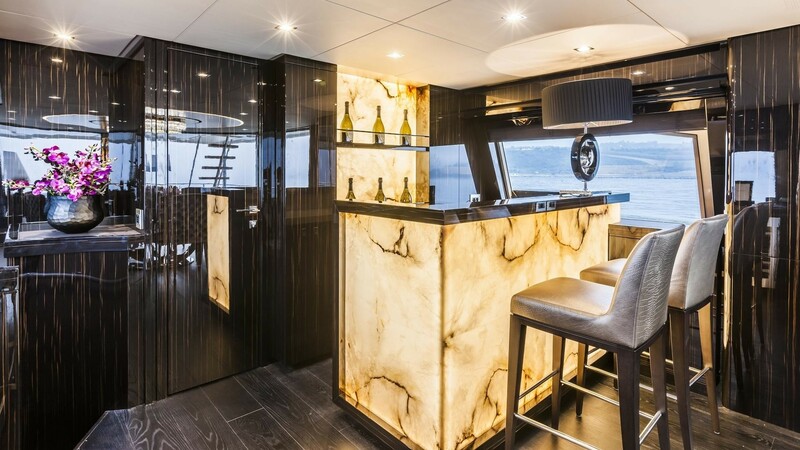 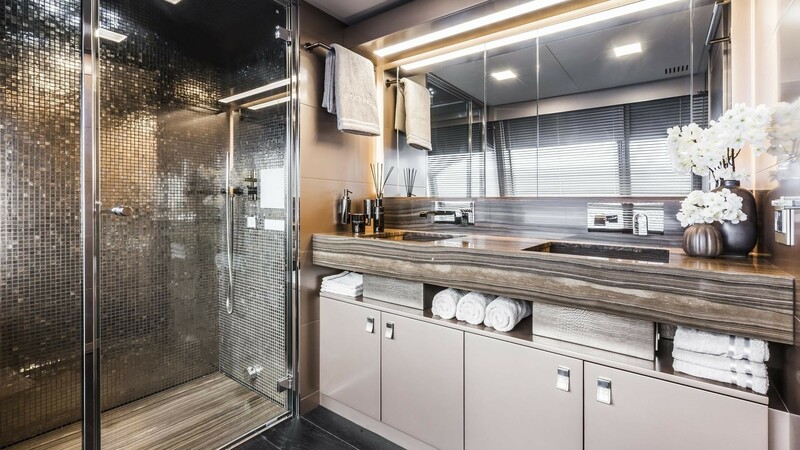 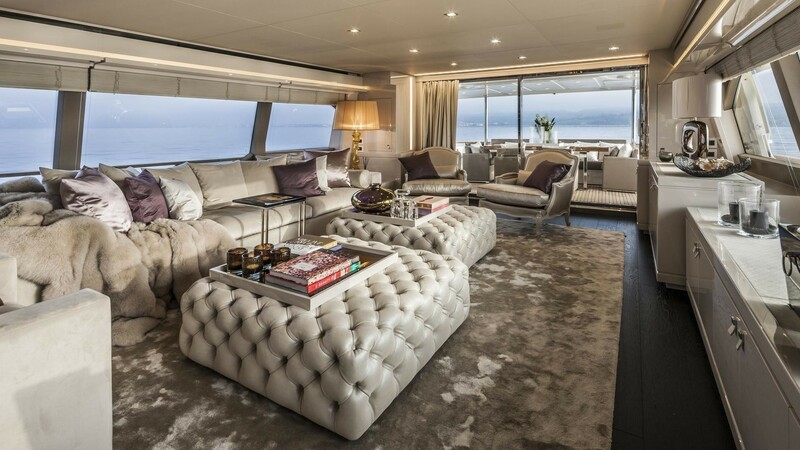 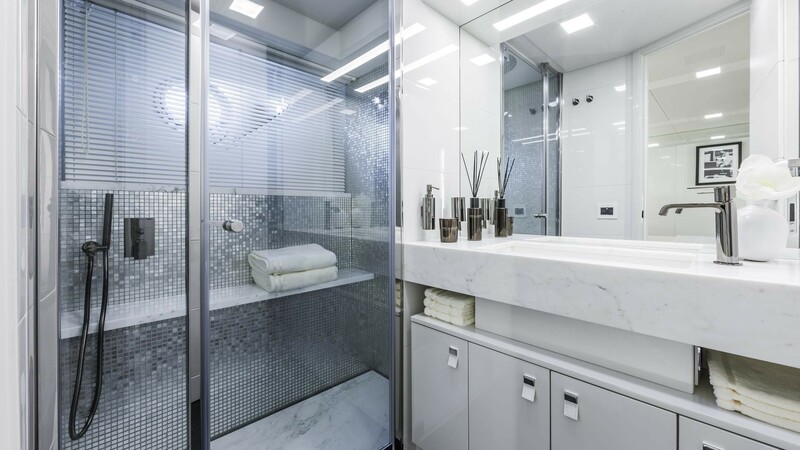 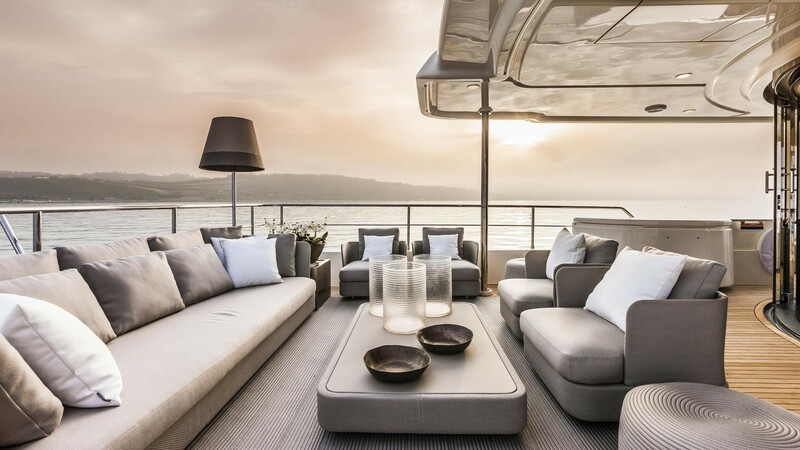 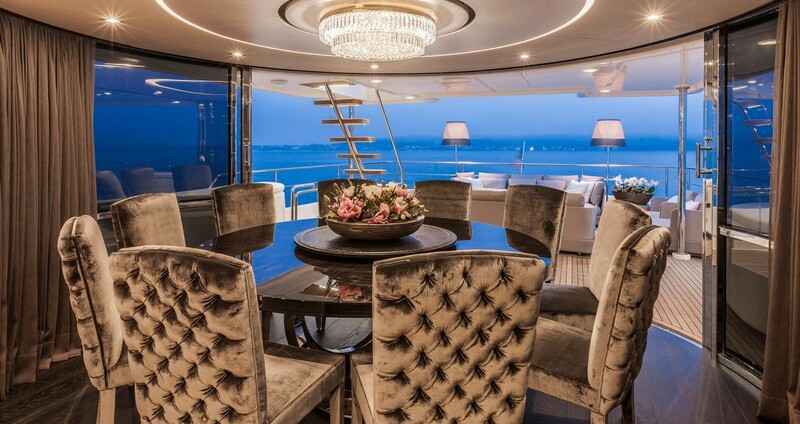 Interior décor of super yacht YVONNE is by Dutch designer Eric Kuster, who teamed up with Centro Stile Ferretti Group and Studio Zuccon International Project to create this striking vessel, boasting fine materials, exclusive furnishings, and original solutions. 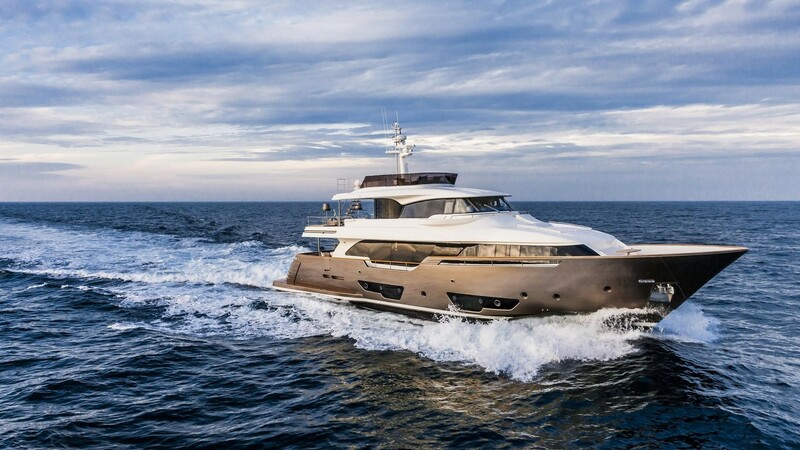 Custom Line Navetta 28 luxury yacht YVONNE can sleep up to 10 guests in utmost in luxury, providing them with 5 magnificent staterooms. 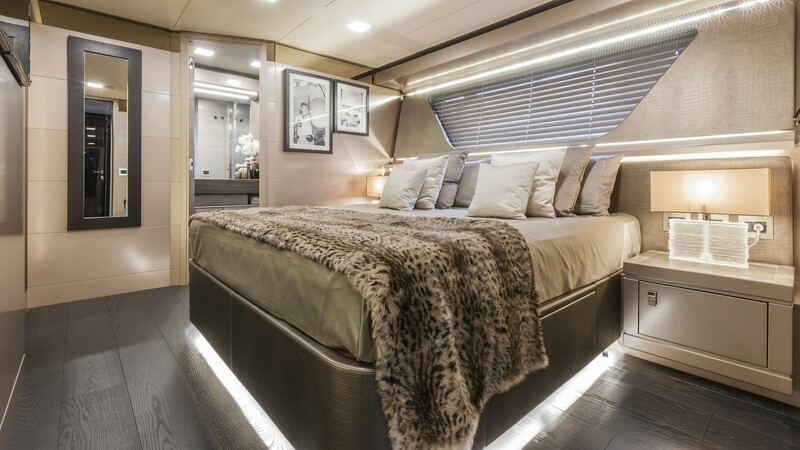 These include a master suite, 3 double cabins and 1 twin cabin. 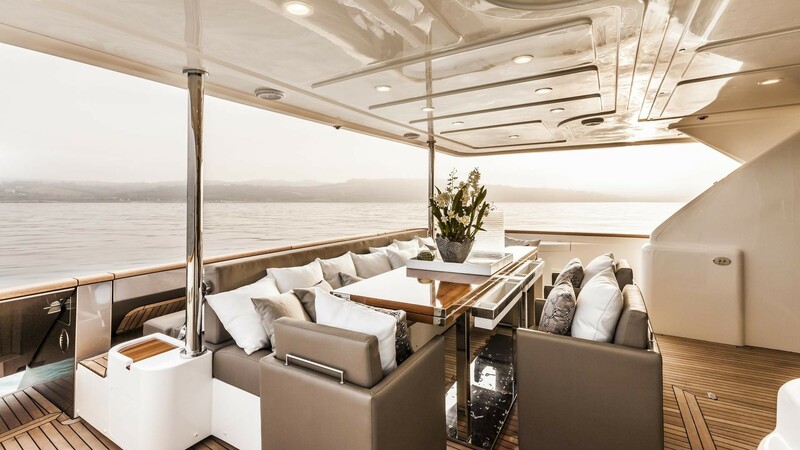 There is also space for a dedicated and friendly crew of 5 members. 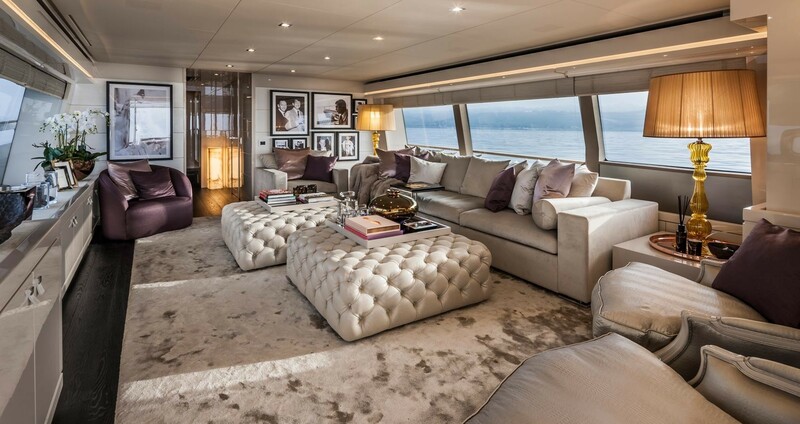 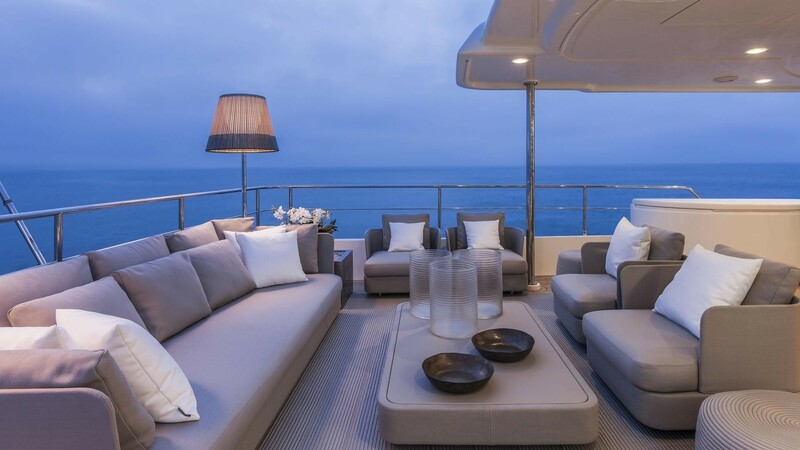 The upper deck of YVONNE yacht is a huge open space overlooking the sea, which from the panoramic cockpit reaches the living area, located amidships. 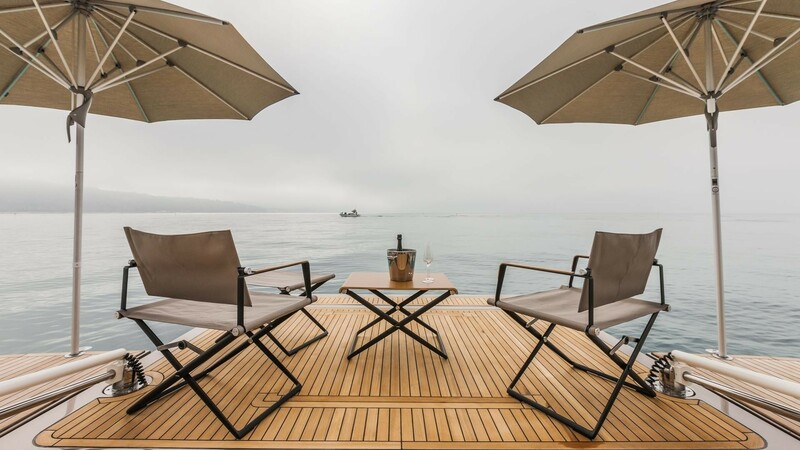 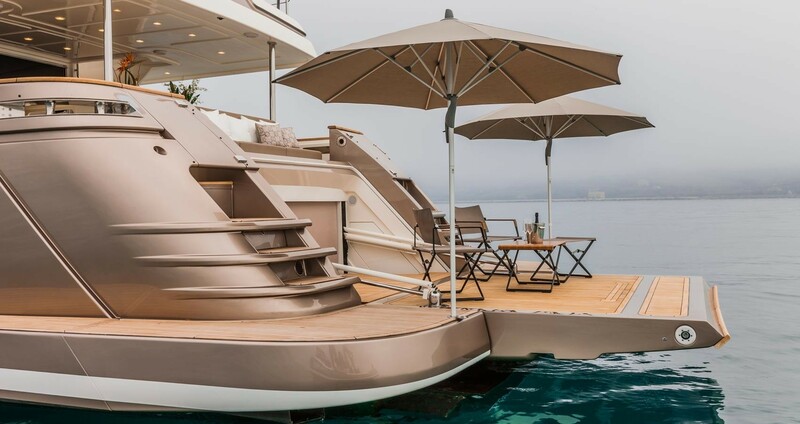 There is also an amazing sun deck, hosting a controlled-temperature Jacuzzi aft, as well as a wonderful selection of water toys, including Seabobs, water-skis, paddleboards and a doughnut. 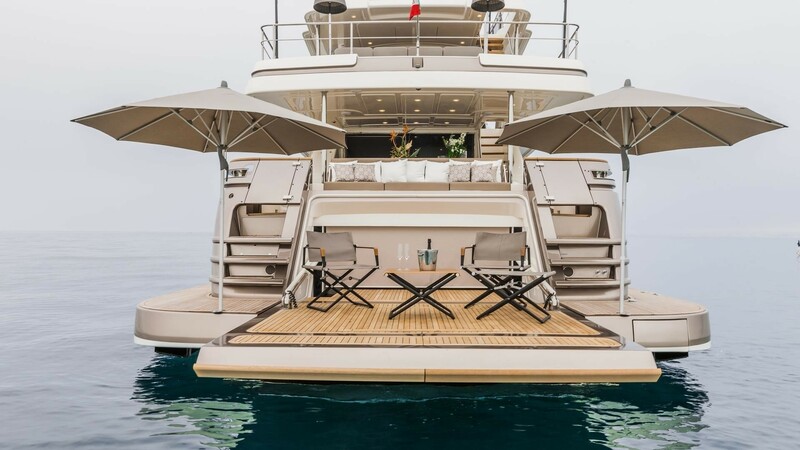 MCA compliant and RINA classed, super yacht YVONNE can easily achieve a top speed of 16 knots and a comfortable cruising speed of 13,5 knots. 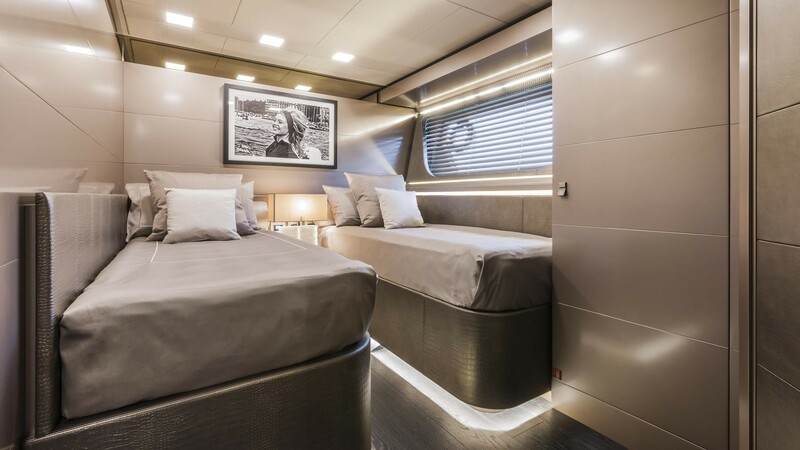 Accommodation aboard YVONNE superyacht is offered to up to 10 guests in 5 lavish cabins, a master suite, 3 double cabins and 1 twin cabin. 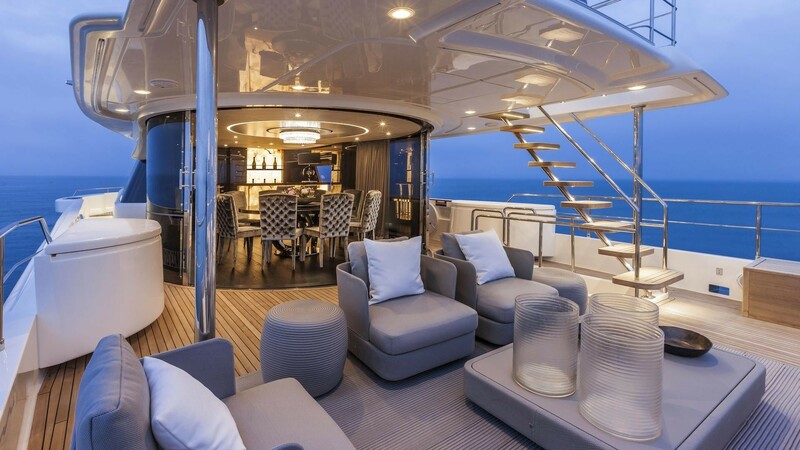 There is also accommodation for a highly trained crew of 5 members. 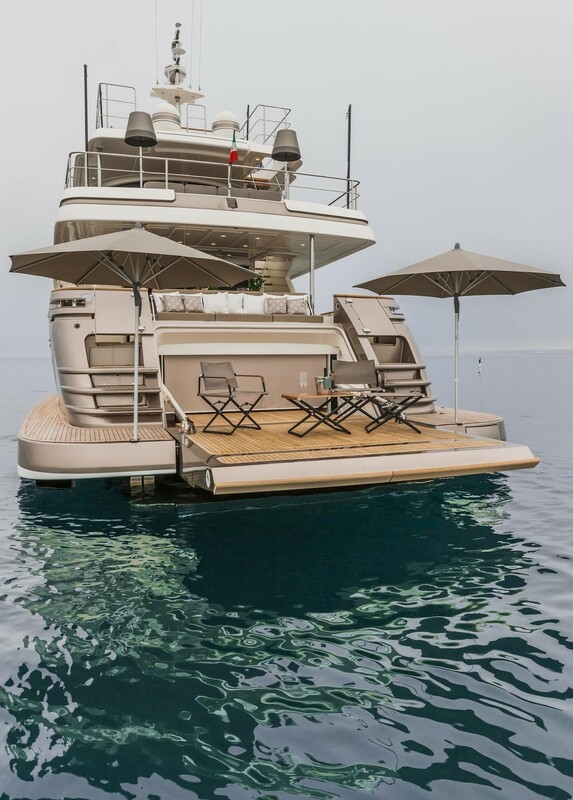 Luxury yacht YVONNE boasts a great array of water toys, including Seabobs, water-skis, paddleboards and a doughnut.